Like his father and grandfather before him, Noel Hyde graduated from pharmacy school. But he did his elders one better, Noel joined the U.S. Navy’s Service Corps in the pharmacy department and served 25 years retiring as a Navy captain. It was 1968 when he graduated from Southwestern Oklahoma State University during the height of the Vietnam War. He was about to be drafted, so Hyde decided to join the Naval Reserve and applied to the Navy’s Pharmacy Department. “The next thing I knew I was going to the Naval Hospital at Subic Bay, the Republic of the Philippines,” the 68-year-old Punta Gorda, Fla. retiree said. “It was a big Naval base and an R & R port for servicemen serving in Vietnam. Moored behind his home is a 38-foot Erickson sailboat. 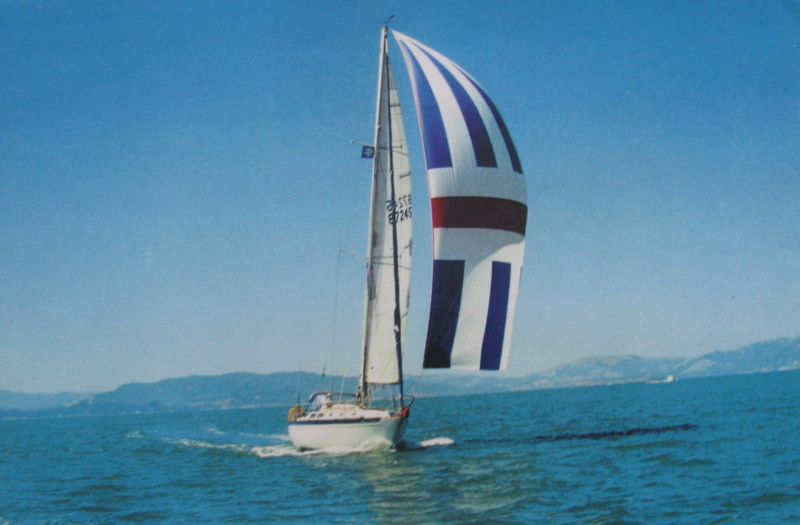 It’s the fifth sailboat he’s enjoyed over the decades throughout the world during his naval career. “Eventually I became the head of the pharmacy department at Subic Bay Naval Hospital. I was responsible for providing all the medication that went through the hospital plus providing medication for all the Navy’s dependents. 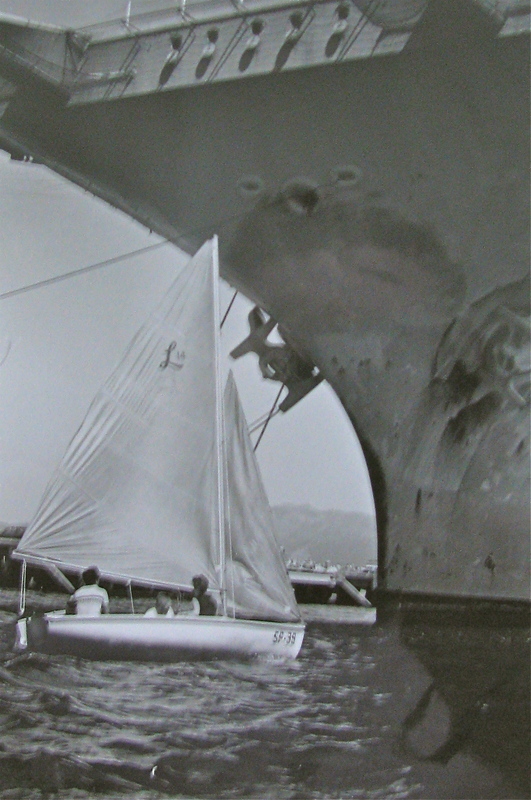 “At Subic Bay we treated all of the injuries aboard ships of the 7th Fleet. However, most of the casualties in the Vietnam War went to Clark Air Force Base which wasn’t too far away,” he said. After two years in the Middle East, Hyde returned to the states in 1970 and was sent to the Naval Hospital at Portsmouth, Va. It was the second largest hospital in the Navy. It was a big and busy place. By this time he had served three years in the Navy and had to decide whether he wanted to remain in the service or find a civilian job. “I liked the people I worked with in the Navy. I got to practice what I was trained to do. I liked the community and the pageantry of the Navy. I decided to join the regular Navy and make it my career,” he explained. “I only spent 11 months at Portsmouth when I got orders to relocate to Jacksonville Naval Air Station. I was real pleased with those orders because I liked serving in the south. And I liked serving at a Naval air station because there was a lot of activity going on,” he said. That job didn’t last long in Jacksonville. Hyde was reassigned to Port Hueneme, Calif.–headquarters for the Pacific Seabees. At this point he decided to expand his horizons. He applied for graduate school at the University of Florida. Hyde was accepted and by the time he completed his course of study he had a master’s degree in pharmacy and a minor in hospital administration. His next job in the Navy was at Oakland Naval Hospital, the third largest naval hospital in the country. It was also a large teaching hospital with cutting edge research facilities. “It was a really great place to work. I spent the next seven years there. It was my longest tour I had anywhere,” Hyde said. “By this time I was a commander in the Navy. It was 1982 and I became the Director of Ancillary Services when I went back to Portsmouth for my second tour there. This meant I was in charge of Pharmacy, Radiology, Physical Therapy, and the Laboratory. “After that, I was ordered to San Diego Naval Hospital, the largest hospital in the Navy, where I took charge of the Pharmacy Department. It was a big challenge for me because at this point I was in charge of the largest pharmacy in the Navy. 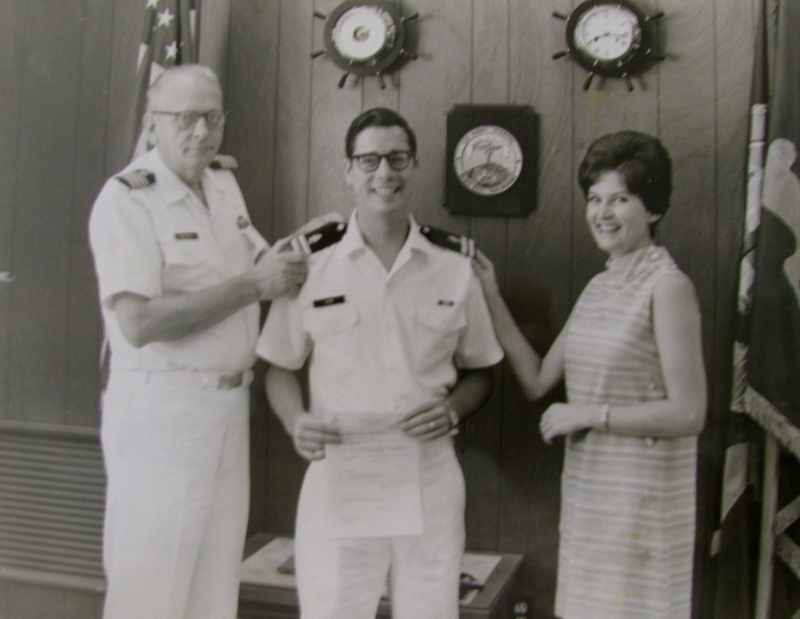 I wrapped up my 25-year Naval career while serving as the executive officer of the Oakland Naval Hospital. He retired as a captain. 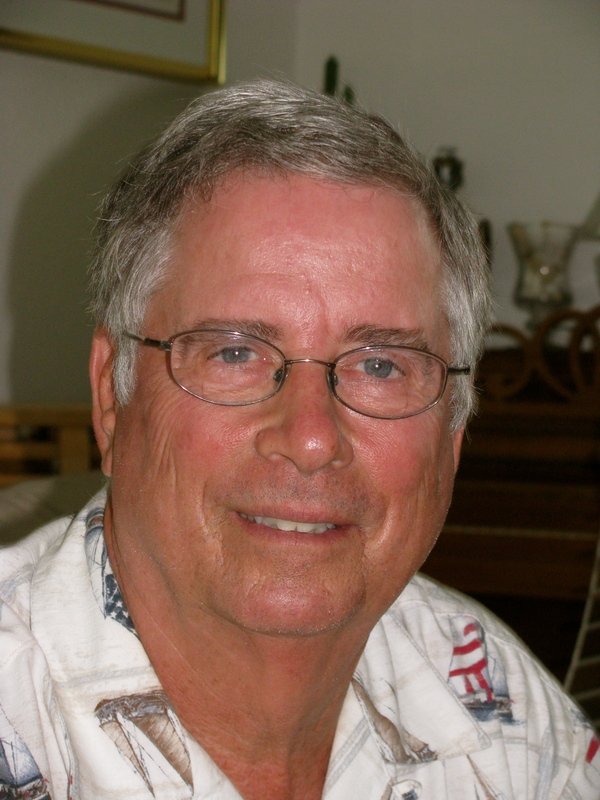 A couple of years later, he and his wife, Linda, moved to Punta Gorda where they bought a lot years earlier. They built their home and moved in 1997. Life is a lot different for Hyde these days. By the time the couple finally relocated to Punta Gorda they had lived in 43 different houses around the country and the world. If the old sailor and his wife get too involved they can climb aboard ‘Kismet,” their 38-foot sloop, and sail off into the sunset. This story was first published in the Charlotte Sun newspaper, Port Charlotte, Fla. on Wednesday, June 5, 2013 and is republished with permission. Click here to view Hyde’s collection in the Library of Congress.